Tower of Terror Turns 20! 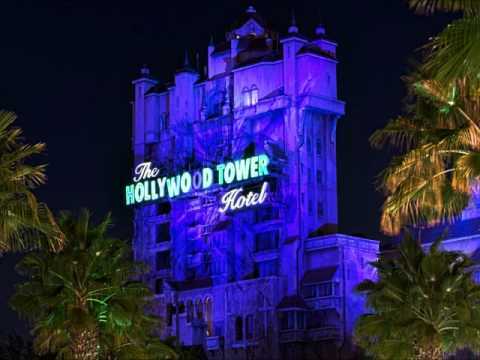 My hands down, all time favorite ride in WDW, The Tower of Terror, turned 20 yesterday… Maybe it’s growing up watching the twilight zone on TV, and hearing Rod Serling’s scary voice set up one scary story after another huddled around the glow of the TV screen in the dark. Whatever it was, Disney got it right. To this day it is still one of the most popular attractions in all Walt Disney World and is also one of the tallest, at 199 feet tall it literally towers over the park. According to the official Disney parks blog, imagineers worked hard to get the flavor of the “Twilight Zone” for the ride. According to sources, they watched all episodes of the entire series and incorporated many themes props and elements from the series in the construction of the attraction. They even brought in Rod Serling’s widow to judge the best voice actor to complete the Rod Serling monologue that is part of the preshow. In the 20 years it has been dropping guests down the elevator shaft, it’s popularity has not diminished. There is now even a running event based around it, the twilight zone Tower of terror 10 miler. What do you think of the twilight zone Tower of terror? Is it one of your favorites? If you could change one thing about it, what would it be?